Vermonters had a name for gravel grinding before it became a buzz-phrase: road riding. Vermont's scenic dirt roads are a cyclist's delight and we have several gravel-ready machines capable of cruising over Vermont's scenic mountain gaps as well as traversing her rough Class 4 and logging roads. A bikepacking rig with all the trappings at an amazing price point. Available in 700c and 650b. Full specifications. Designed to handle the gnarliest Vermont roads. Full specifications. The Renegade is ready for any adventure. The long and tall endurance geometry is designed specifically to ride comfortably all day on the road or in harsh conditions off-road. With disc brakes and the ability to mount up to a 40c tire, these bikes are ready to go just about anywhere. All you need is the desire to push, pedal and explore. Full specifications. 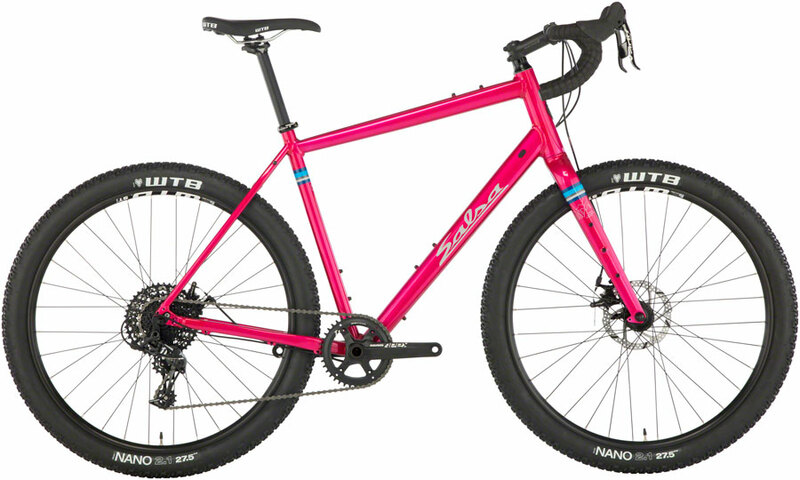 Vaya is Salsa’s road adventure and light touring bike, designed to handle any road surface, from pavement to gravel to dirt. The tubing selection and stable geometry across the line makes for a bike that feels great unloaded or loaded for a fast tour, soaking up unpredictable surfaces mile after mile, from one town to the next. Vaya is an extremely versatile machine, always ready and able if the path turns less than ideal. Full specifications. The legendary ride of steel; that’s what the Quest is all about. Full specifications.